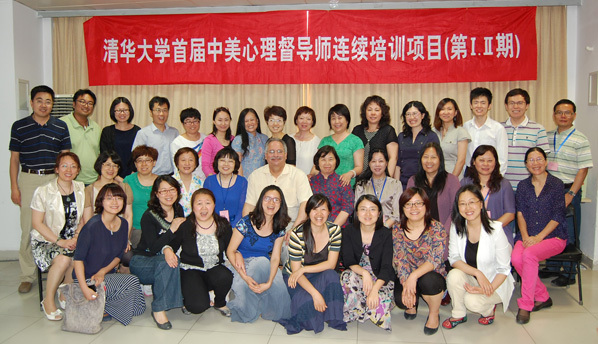 A program led by Bob Portnoy is on course to double the number of credentialed psychology supervisors in China within two years. Portnoy, director of counseling and psychological services at the University Health Center, developed the project as a Fulbright scholar based at China’s Nanjing University in 2011-12. As a whole, the field of psychology is in its infancy after being essentially outlawed during China’s Cultural Revolution (1966-76). Portnoy said the field has slowly reconstituted itself, basically from scratch, during the last 25 years. China has, in recent years, strengthened requirements to earning credentials in psychotherapy. One of those requirements is that counselors must have a minimum of 100 hours of therapy sessions logged while under the direction of a credentialed supervisor. “That’s a good step, but the problem is, in a nation of 1.3 billion people, China has only 120 credentialed supervisors — 119 when I’m not there,” Portnoy said. He was asked to put together a proposal that could be the basis for a program to train psychotherapy supervisors. The proposal was accepted and Portnoy ventured back to China in early May to launch his “Certificate in Counseling/Psychotherapy Supervision” advanced training program. The program consists of a series of six, three-day workshops presented over a two-year period. The first set of workshops — led by Portnoy at three Chinese universities in early May to mid-June — drew more than 130 psychotherapists vying to become supervisors. The workshops were held in Nanjing (attended by about 75), Beijing (35 participants) and Chengdu (25 participants). Portnoy will lead the next two sets of workshops at each location in December and then in May. A colleague from Taiwan will complete the training in late 2014. Between each session, the participants are allowed to complete supervision projects at their home agencies. The individuals report critical events from the supervision opportunities to Portnoy. And these supervisory experiences will provide a foundation for the next training sessions. The training sessions earlier this year marked the fourth time Portnoy has traveled to China to deliver psychology-related presentations or teach. He has presented on the topic in 21 Chinese cities.